Historically, Texans have turned to the Texas General Land Office for maps and other tools used to display and organize information about the state’s rich natural resources. 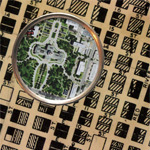 Besides historical maps, research, and data, the Land Office today uses Geographic Information Systems (GIS), global positioning system (GPS) technology, and computer-aided design (CAD) systems to compile, analyze, and distribute the most accurate information possible about the location of natural and cultural resources. These tools support the business functions of the General Land Office, and serve as critical tools in the study and protection of our state's valued resources. This GIS page contains a collection of dynamic, interactive mapping tools that provide access to the vast collection of spatial data available at the agency. The NEW Land & Lease Mapping Viewer, an interactive mapping application, provides access to vast collections of land- and energy-related data at the General Land Office. The Land & Lease Viewer displays upland and submerged Original Texas Land Survey boundaries, Permanent School Fund land, upland and coastal leases, oil and gas well locations, and current aerial imagery. This version does not require a third-party plugin and is compatible with most mobile devices. This version of the Land & Lease Mapping Viewer uses older Flash technology, and soon will no longer be supported by the major Web browsers. We have no control over when that will be, so we encourage you to begin using the new version of the Land & Lease Mapping Viewer (above) now. We plan to remove this older version on May 1, 2019. The Land & Lease Mapping Viewer, an interactive mapping application, provides access to vast collections of land- and energy-related data at the General Land Office. 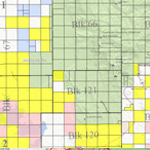 The Land & Lease Viewer displays upland and submerged Original Texas Land Survey boundaries, Permanent School Fund land, upland and coastal leases, oil and gas well locations, and current aerial imagery. 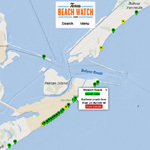 The goal of the Texas Beach Watch Web application is to provide the public with information about water quality at selected recreational beaches along the Texas coast. Find your perfect beach! From fishing and boat ramps, to camping and BBQ—the Texas coast provides a wealth of resources to all visitors. The GLO is proud to offer this free resource to help you explore all that our shores have to offer. Scroll through the pages to view interactive maps and information about the state’s energy history. 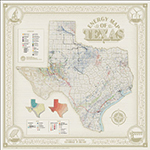 Use the slider bar at the bottom of the Energy Map of Texas to get a more detailed view. The Texas Hidden History map viewer provides a glimpse into the past of the great state of Texas. Click the icons to view select Texas cities as they appeared then, overlaid with current aerial imagery. Resource Management Codes (RMCs) are assigned to state-owned tracts in Texas bays and the Gulf of Mexico, providing development guidelines for activities within each tract. The codes enhance protection of sensitive natural resources by providing recommendations for minimizing adverse impacts from mineral exploration and development activities. The codes include recommendations from the U.S. Fish and Wildlife Service, National Marine Fisheries Service, Texas Parks and Wildlife Department, Texas Historical Commission, and the U.S. Army Corps of Engineers. The Texas Coastal Sediments Geodatabase (TxSed) contains sediment-related geospatial and geotechnical data. TxSed can help identify compatible sediment resources for proposed beach nourishment or habitat restoration projects, and can be used as an aid in the permitting/regulatory processes for such projects. 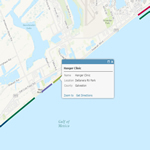 The Oil Spill Response Mapping Tool contains information from the Oil Spill Toolkit, TGLO coastal resources, and NOAA. Use the provided tools to generate reports for ICS forms, identify sensitive habitats and species, view maritime information, query spatial data, and other mapping activities. This interactive tool displays the Community Development Block Grant Program information, including demographics, awards, and FEMA claims. Adopt a stretch of beach today! Are you committed to helping ensure Texas beaches are trash-free? Then consider adopting one! Our adopters pledge to clean a designated stretch of Texas coastline, a minimum of three times a year for two years. Many adopters are long-time stewards of Texas beaches, and renew their membership year after year. 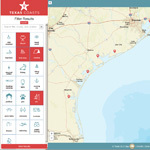 With this interactive map, learn which stretches of Texas beach are available for adoption. 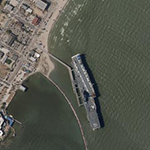 The Aerial Imagery & LiDAR Data Collection provides low-resolution catalogs of flights from 1938 to the present, for various areas within the Coastal Zone. For the high-resolution images, contact the General Land Office. 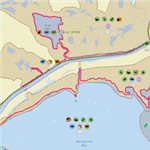 Public beach access points mapped by the GLO, in cooperation with coastal cities and counties. Locations of structures and activities permitted by the GLO within state-owned land and waters. 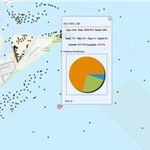 Includes features represented by a single point location, such as piers, docks, breakwaters, and shoreline protection projects. Locations of structures and activities permitted by the GLO within state-owned land and waters. Includes areal features such as dredging areas, parks, mitigation projects, and conservation easements. The official boundary of the Texas Coastal Management Program (CMP). The area lying generally seaward of the coastal facility designation line, which is the line adopted under the Oil Spill Prevention and Response Act of 1991, to describe areas where oil spills are likely to enter tidal waters. The layer also includes wetlands landward of the coastal facility designation line, generally within one mile from the shoreline, along the extreme inland reach of certain tidal rivers and streams. Boundaries of pre-approved area for use of dispersant in oil spill response. Boundaries were created by combining the 10-meter offshore bathymetric contour and the three nautical mile line. The boundary follows whichever line is farthest offshore. Data are not to be used for navigation or for mapping at large scales. Shoreline of Texas with sensitivity classification of habitats to oil contamination and removal. Classification conducted by the University of Texas Bureau of Economic Geology. Contains basic information about active Hard Mineral Leases (minerals other than oil & gas) issued by or through the General Land Office. The information in this layer represents a snapshot in time. As new leases are added, expired, or terminated, they are removed from the active layer. Areas, designated by the Oil Spill Regional Response Team VI, where in-situ burns are prohibited. Submerged lands granted with mineral reservations by the Texas legislature to Navigation Districts. Oil and gas platforms or wells that are above the waterline, located in GLO-managed waters (bays or the Gulf of Mexico). Data includes, location, type, and GLO site number. Oil and Gas Leases managed by the Texas General Land Office. Oil and Gas pooling agreements managed by the Texas General Land Office. Tracts that have been nominated for the quarterly Oil & Gas lease sale. 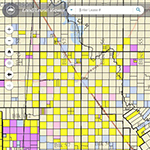 The Texas General Land Office (GLO) uses a land grid provided by P2 Energy Solutions. GLO is able to display the layer in our mapping viewers, however, by agreement, is not authorized to distribute the data. Please contact P2 Energy Solutions to acquire this dataset. As an alternative, you may download a layer created by the Texas Railroad Commission (RRC), available from the Texas Natural Resources Information System. Please note that because the Texas Railroad Commission, not P2 Energy Solutions, created this land grid, you should expect geometric and attribute differences between the two datasets. Pipelines located in state-owned submerged lands and other areas along the Texas Gulf Coast. Priority coastal habitat areas to be protected during oil or hazardous material spills on the Texas coast. Areas were identified and prioritized by Texas Parks & Wildlife (TPWD) and GLO personnel, in cooperation with other entities. Coastal distribution of animals, plants, and habitats potentially at risk from oil spill damage or response activities. 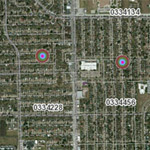 Mapped as part of a joint project involving GLO, TPWD, and other entities. Contains tracts identified as owned by various state agencies (universities, Department of Criminal Justice, state parks, Texas School for the Blind, and other Non-PSF lands) that have a mineral interest, whether all or in part. In-depth records research is necessary to make an actual determination of mineral status. The collection is not complete and is a work-in-progress, with periodic, but infrequent, addition of new parcels. State-owned tracts in bays and gulf waters, owned and leased by the GLO. State-owned tracts in bays and gulf waters, owned and leased by the GLO, with codes added that reflect restrictions and concerns associated with leasing of these tracts. 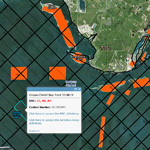 Boundary between state and federal jurisdiction, located three marine leagues (approximately 10 miles) offshore in the Gulf of Mexico. Line of demarcation three nautical miles offshore in the Gulf of Mexico. Upland surface leases managed by the Texas General Land Office.